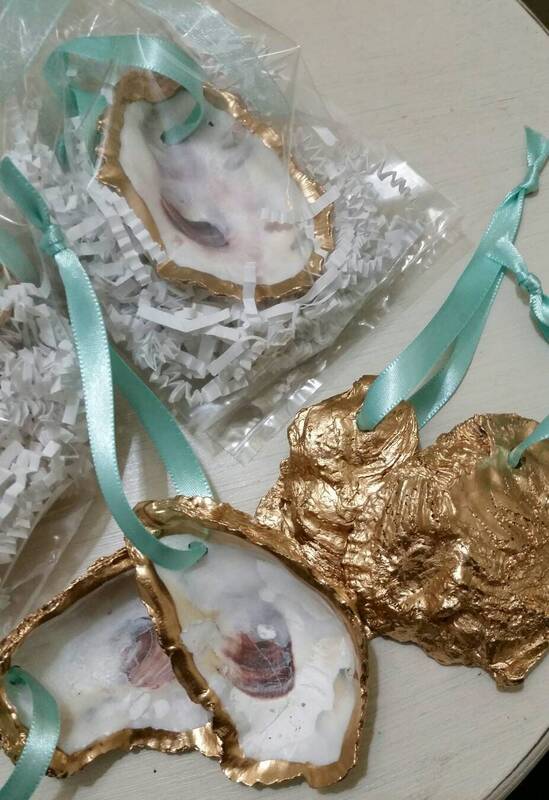 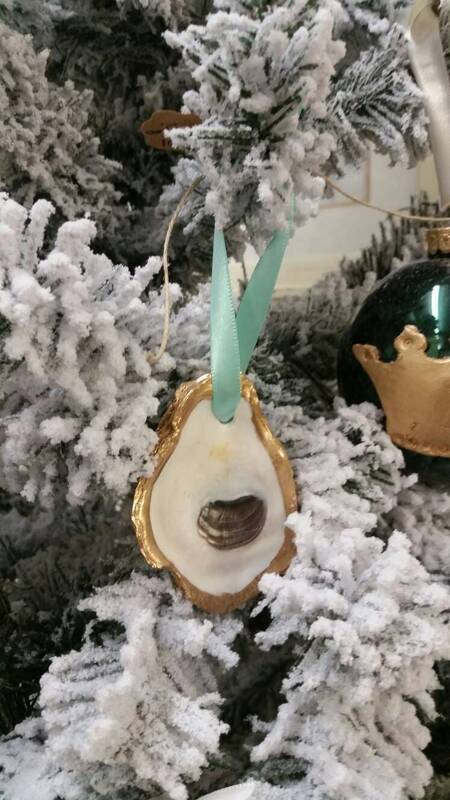 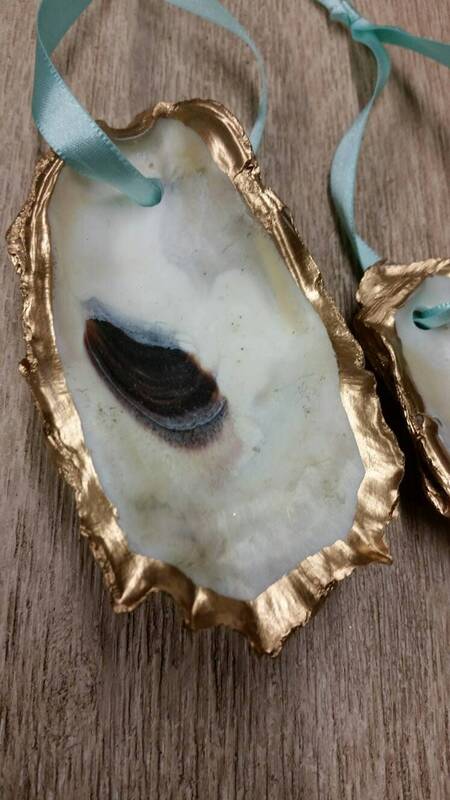 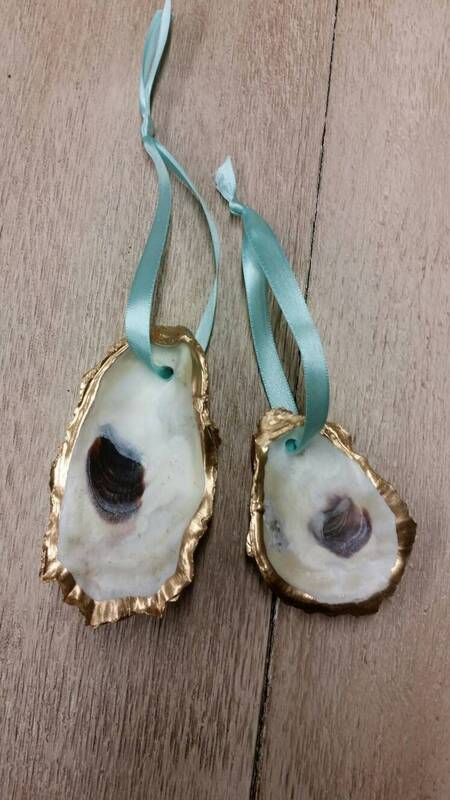 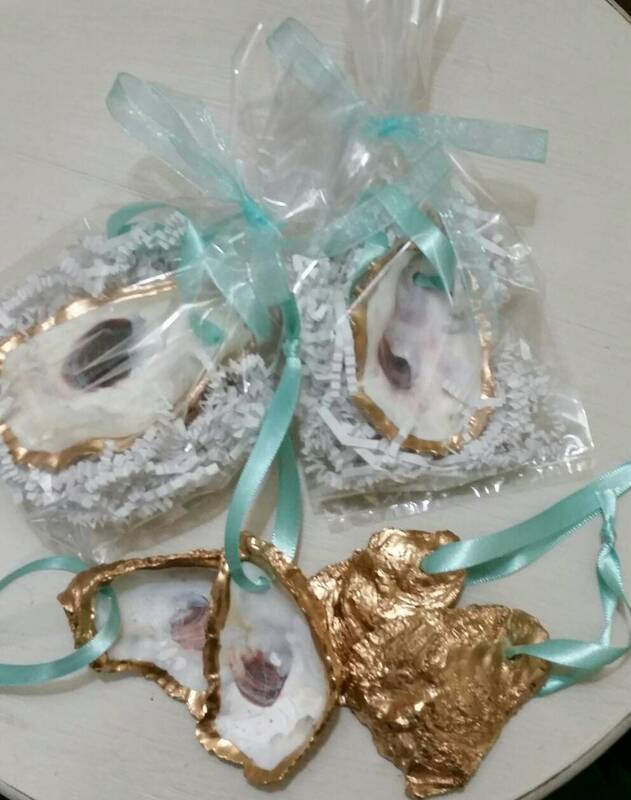 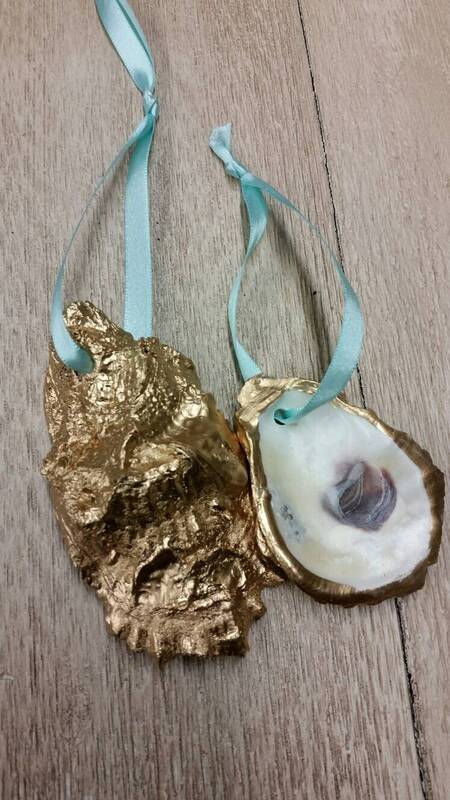 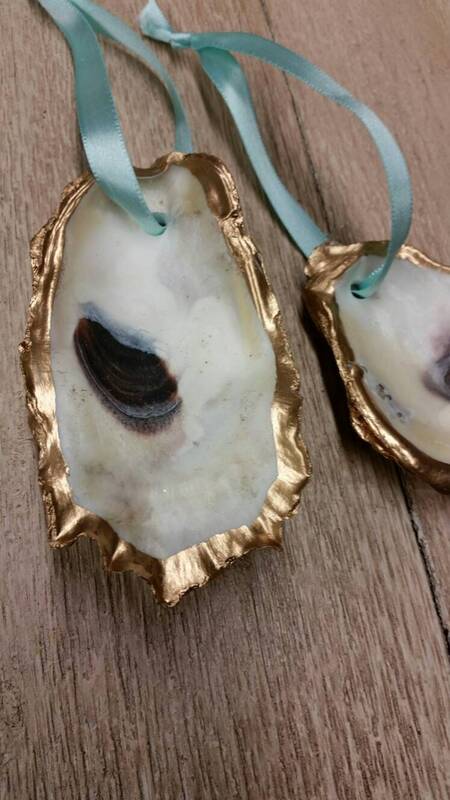 Handmade one-of-kind Real Oyster Shell With Gold Leaf and a fabric Tiffany Blue ribbon - we can do this in the color of your choice that is tied at the top to make hanging easy. 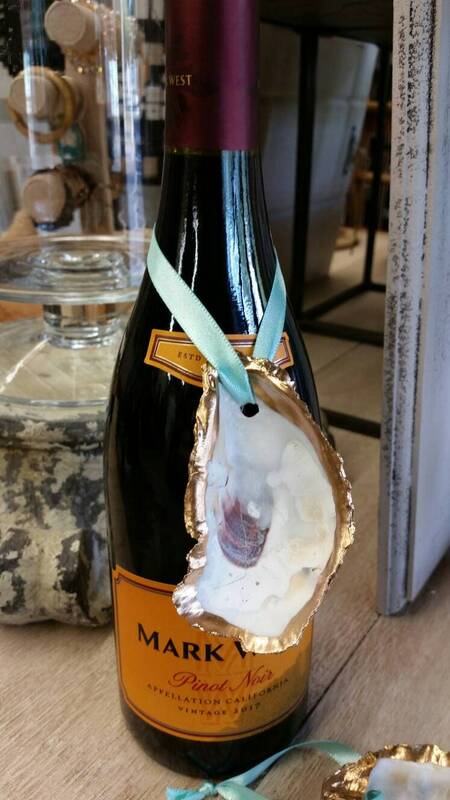 Would be perfect gift as party favors at a wedding or party event. 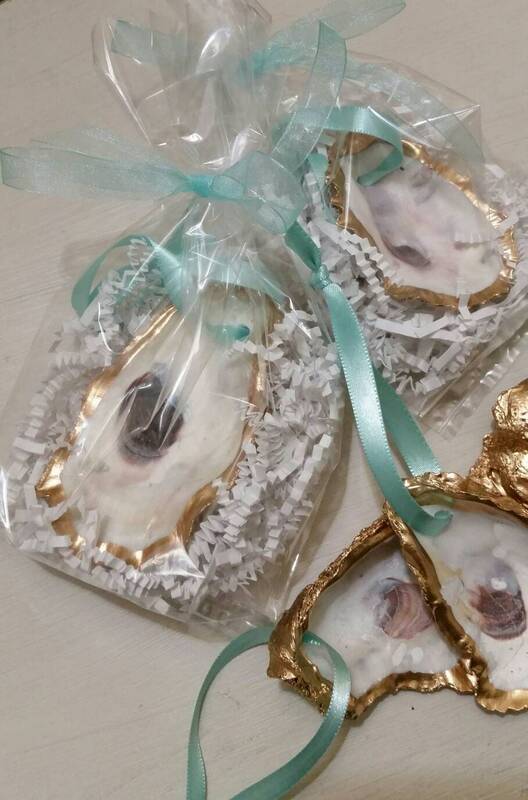 Comes in a clear gift bag with ribbon.